Just Listed :: Gorgeous Brick Traditional in Brookhaven Heights! Welcome home! 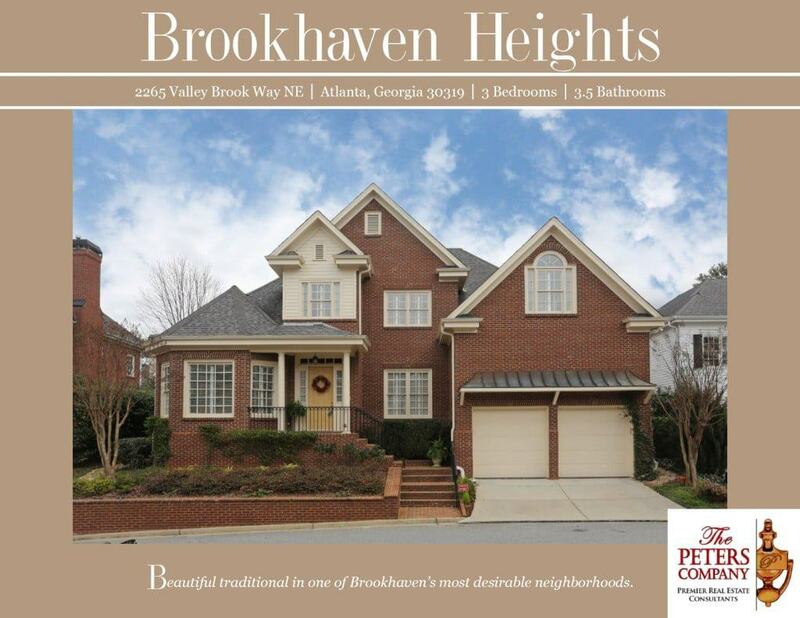 Nestled in the popular Brookhaven Heights neighborhood, this home is just what you’ve been looking for. The flowing floor plan, custom features, and charming character will never go out of style. The close proximity to Peachtree Road, I-85, and GA400 makes this home convenient to and from any direction. Being in the booming city of Brookhaven means you can enjoy nearby hot spots like Town Brookhaven and Village Place Brookhaven. Gorgeous architectural detail and tall ceilings are carried throughout the home. A two story foyer greets you with a formal living room on one side and dining room on the other. Kitchen features granite countertops, breakfast bar, tile backsplash, pantry, and breakfast area with bay window and built-in seating. Office nook, laundry room, and wet bar conveniently located off of the kitchen. Family room boasts a cozy fireplace, beautiful built-in bookcases, and tons of natural light. Main level master suite is a true retreat including a trey ceiling, fireplace, and dual walk-in closets. Spa-like master bathroom has dual custom vanities, jetted tub, and separate walk-in shower. Additional bedrooms are well-sized and bright with attached bathrooms. A second floor bonus space is ideal for a media room, playroom, teen suite, etc. Garage easily fits two vehicles with extra room for storage. Wonderful outdoor space includes a brick patio overlooking a tranquil water feature. ← Just Listed :: Stunning Brookhaven Newer Construction!